Unique Stylish Purses | Miche Bags: Miche Free Hope Laptop Sleeve!!! 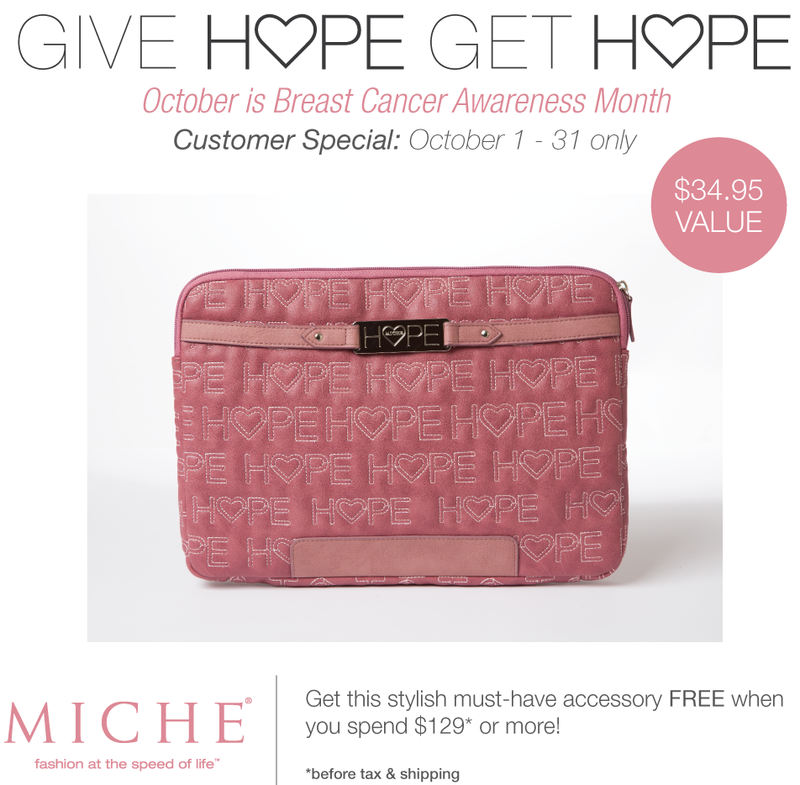 Miche Free Hope Laptop Sleeve!!! you get the Laptop/Tablet Sleeve Hope (quilted) FREE. Promotion Dates: October 1 – October 31, 2014. All orders must be submitted by Friday, October 31; 11:59 PM (Mountain Time). All items are only while supplies last, so DON’T WAIT to order.